We drove the Camaro down to the Fort Oglethorpe, Georgia cruise in last night, and had a good time. 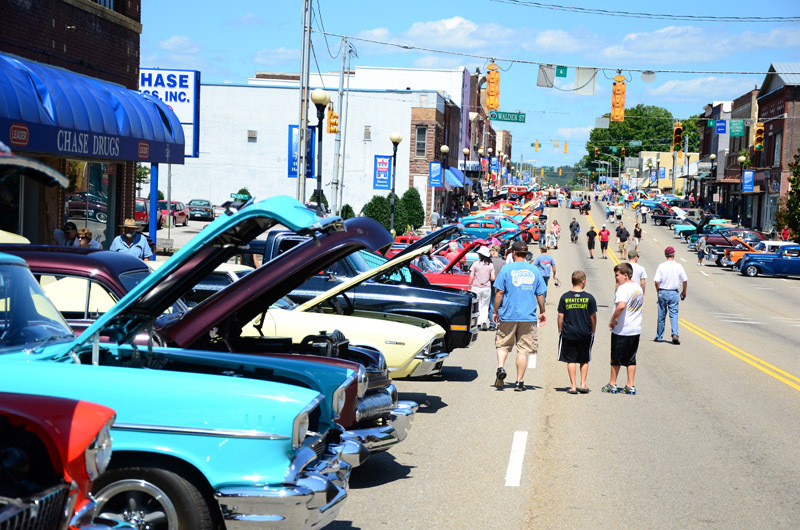 I handed out a bunch of flyers for the Coker Cruise In, which is happening next month. While in Fort O, this ’55 Chevy gasser really grabbed me. It has the right look and it’s very well detailed…wouldn’t mind finding some info on this car and potentially doing a shoot on it. 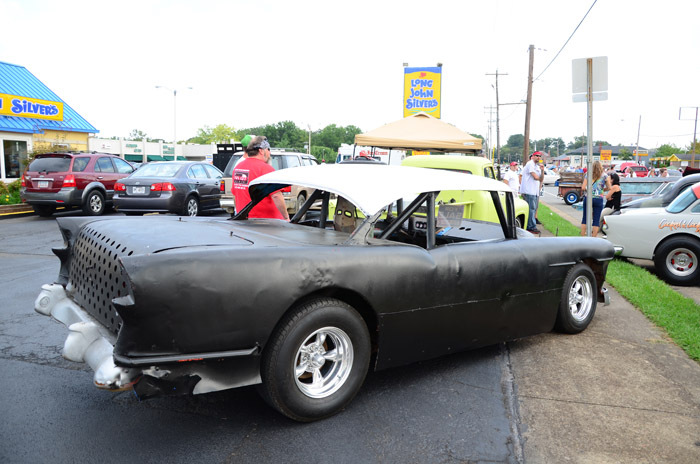 I gotta say this is the first ’55 Chevy two door hardtop dirt track car that I’ve seen at a cruise in. It was definitely beaten up, but any vintage race car is cool in my opinion. 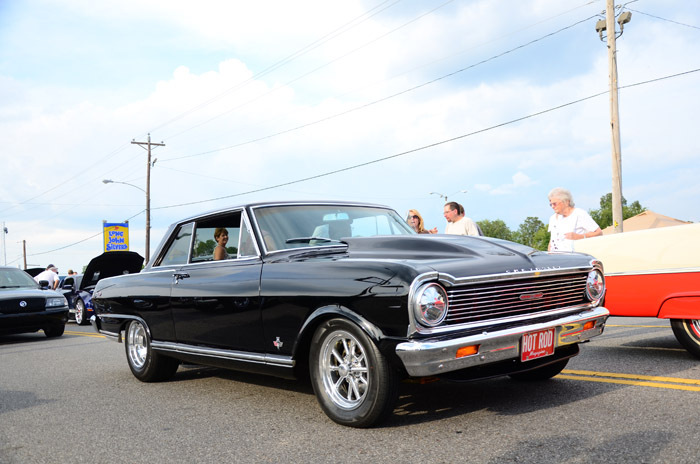 Another awesome car at the Fort O cruise in was this wicked-sounding Chevy II. This is another car I’d like to photograph! 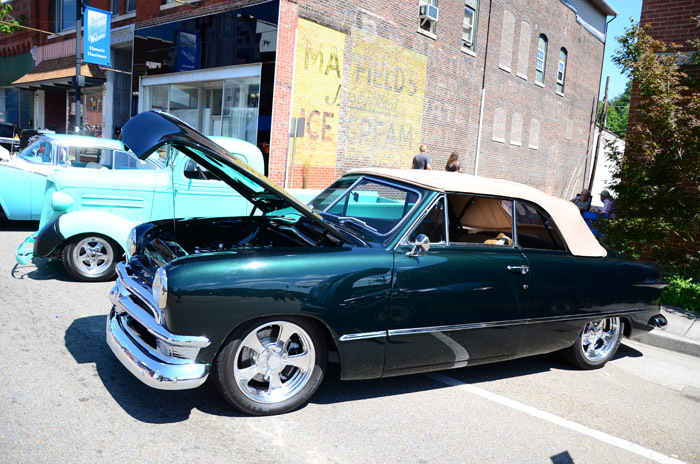 Last week, I went up to Harriman, Tennessee for their monthly cruise in, which is located on the main drag through town. It was cool to stop by a cruise in that I’d never attended. Out of all the cars at the Harriman cruise in, this one grabbed me the most. You just don’t see many Ford shoebox convertibles and this one is extremely nice, inside and out. 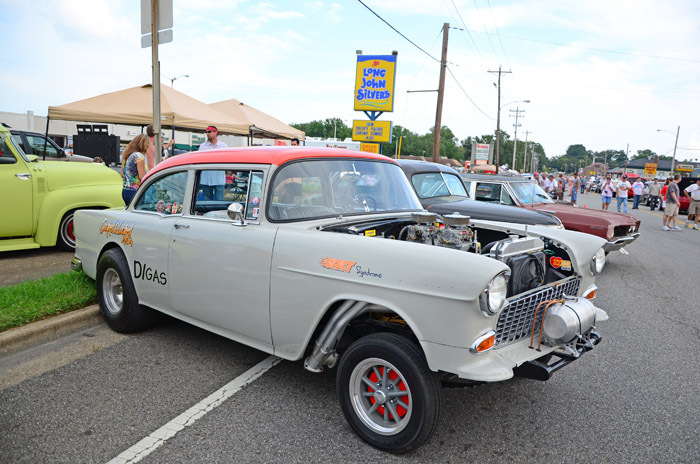 Last month, we drove just down the road to Soddy Daisy for the Firecracker Rod Run. 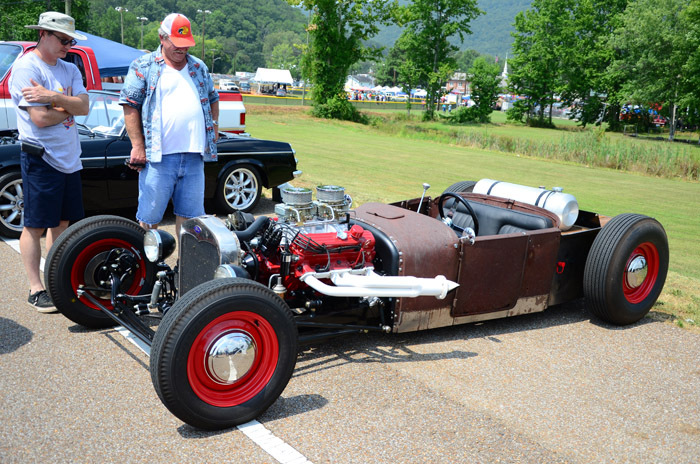 Jim Howard’s crazy little hot rod pickup gets a lot of attention. My buddy Harvey drives this Willys sedan everywhere, so I figured I’d see it at the Firecracker show. 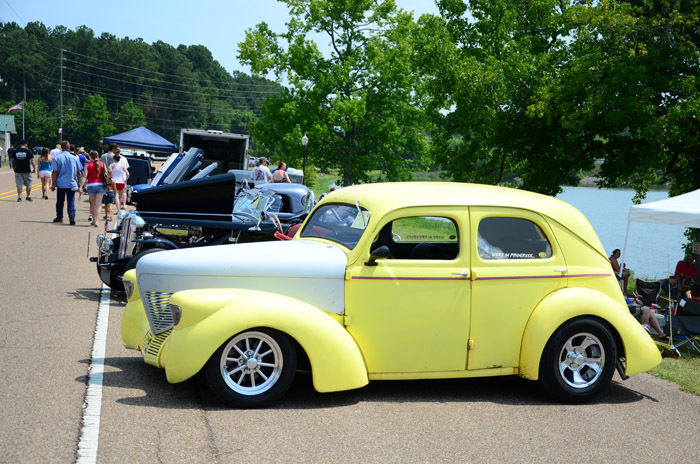 He also has a very nice ’40 Ford sedan and a cool midyear Corvette. This entry was posted in Events and tagged 2012, car show, cruise in, firecracker, fort o, fort oglethorpe, ga, gasser, georgia, harriman, hot rod, muscle car, race car, rat rod, rod run, soddy daisy, tn by Tommy Lee. Bookmark the permalink. That Chevvy II is way sweet!